Dwell by Cheryl: "The Budget Decorator"
Last week I received an alert from Houzz saying I had a new review. I thought to myself, "How can I have a new review when I haven't completed any new projects?". As you all know, Houzz houses my portfolio of work and I count on my clients to review my projects to provide prospective clients with a sense of what they can expect if they decide to hire me. So, to have great reviews is a pretty big deal. 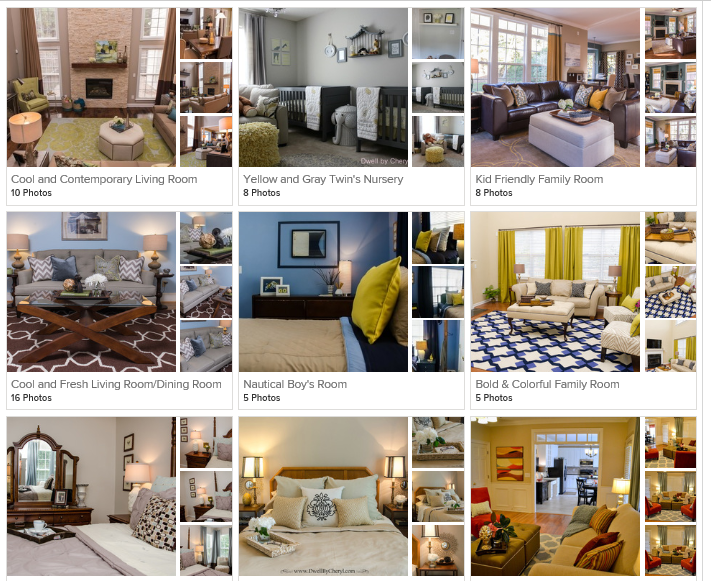 It's what got me the Best of Houzz award, two years in a row. One of the participants at the Habitat ReStore ReNew event had taken it upon herself to write a very kind review. I was touched. The fact that she was impacted in such a way that she felt compelled to leave me a review meant so much. The fact that the course participation was smaller than we expected just proves that often you don't need a huge audience, you just need the RIGHT audience. It makes me proud of the work that I do and it reinforces the fact that people find the info that I share valuable. I've been thinking about that recently. At the Design Blogger's Conference, there was quite a bit of messaging around authenticity; really knowing and owning your niche and sticking with it. Needless to say, mine is budget design. My typical client project budget ranges from just $500 to around $5,000 and that's nothing compared to what the typical designer usually has to work with. I'm proud of the fact that I have the ability and opportunity to create beautiful spaces where my clients can grow, be nurtured, find refuge, relax and ultimately dwell. More importantly, I'm grateful that God has gifted me with the ability to do it on any budget. Honestly, that's what gives me the greatest fulfillment. It's taken me two years, but I'm finally starting to own the fact that I'm the budget decorator. That's what I do and it feels pretty good. Speaking of budget decorating, stop over at DecRenew Interiors' blog to check out a video where I'm sharing a few of my "secrets" to finding great deals while thrifting, especially if you missed the ReStore event in Hickory. Loved your video Cheryl. Your thrusting tips were right on point.